High school students and their families are always looking for useful sources of information about college planning, colleges, and everything related to the process of moving beyond high school to the next step in a student's education. There are countless articles, books, websites, and colleges themselves to learn about, but it is difficult for students and their parents to keep up with the constant flow of information and the seemingly endless lists of colleges to consider. High school guidance counselors and web-based college planning programs can be helpful, but we have found another terrific resource for students, parents, and their counselors alike. American Heritage College Planning is a Facebook page administered by Luciana Mandal, M.Ed., Director of College Planning at American Heritage School, a private Pre-12 school (with over 1400 high school students) in Plantation, Florida. Featuring the oft heard quotation attributed to Frank Sachs, Past President of the National Association of College Admission Counselors (NACAC), "College is a match to be made, not a prize to be won," the page includes links to current books and articles, information about specific colleges, and planning tips that can be useful to all students thinking about college. "The media can often skew information," Ms. Mandal noted. "So, when we see well-written and accurate articles in the media that represent our real experiences in the field, we like to make them available to anyone who follows our Facebook Page." 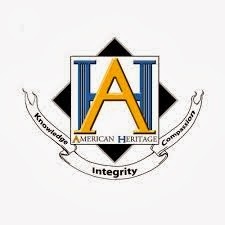 She continued, "The practice in our college office at American Heritage is to guide students individually, based on family and student priorities. We believe that education is a process and not a race, and that the college degree is a step toward a career. That "good fit" college is what we seek for each student, so having toured over 250+ colleges (collectively in our department), we know much more about the college fit than where it sits on a rank list. Therefore, the articles we post present important angles not well-known to the public." It's easy enough to keep up with the information posted by Ms. Mandal and her colleagues; just add the page to your "friends" list and be prepared to be informed.